It's usually about now that you really start to get re-acquianted with your sofa. Not only is the weather getting cooler, but with the impending clock change and the knowledge of longer nights and shorter days ahead, staying in seems more and more appealing. Inviting friends over, lounging in front of a boxset or with a good book, creating an indoor den with the kids; our sofas get a lot of use. This is why now, more than ever, it's important to have somewhere comfortable to park for the evening. And something beautiful to look at during the day. If you're feeling ready for a new sofa splurge, here are my favourites. The Angelina sofa from Love Your Home is cozy and warm, especially in this soft shade. It's upholstered in brushed cotton and set on chrome feet. The style is unfussy and classic, I love it's neat symmetry. Cushioned sides also mean it'll be extremely comfortable. You could easily dress this sofa up with a throw or patterned cushions, or keep it simple and enjoy it just as it is. The choice of fabric, colour and feet mean you can design the perfect sofa to fit in with your room scheme. Oliver Bonas is one of my favourite stores for homeware items right now. 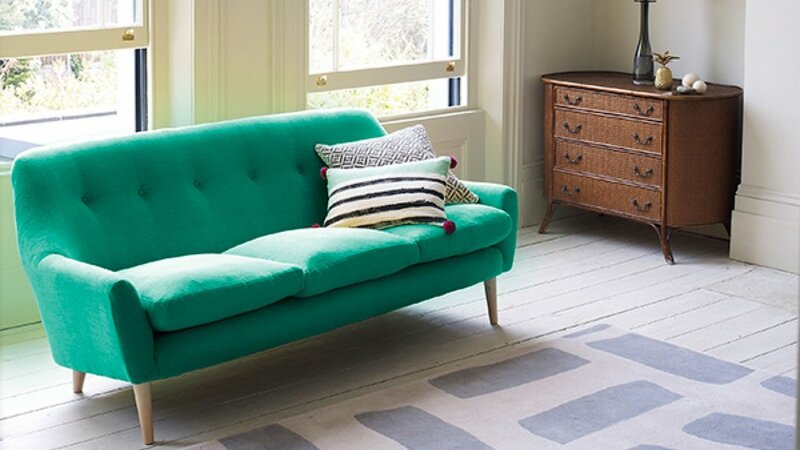 They seem to have so many covetable things and this 1958 sofa is one of them. It is an authentic design from 1958 and based on a sofa one couple had bought as newlyweds and still use now nearly 60 years later. Now in their 90s, this couple loved the design so much they kept the sofa and just re-upholstered it when needed. And you can see why they were loathe to part with it, this sofa still looks current and modern today. I'm sure it will continue to do so in another 60 years. A real investment piece. It can be a 2 or 3 seater and comes in 7 bright shades, which all work so well with the current mid-century modern trend. Plump cushions and the addition of the chaise on the Snowdrop sofa from sofa.com, makes this seating even more comfy. Ideal for putting your feet up and resting after a hard day. A traditional looking design with clean lines, the very low sides gives the sofa a more 'open' feel as though it's taking up less space in the room. This sofa is a great choice if you want instant relaxation... warning: you may never want to move! Rich yellow velvet... wow! A bold choice, but oh so inviting, especially when teamed with dark walls and neutral accessories. 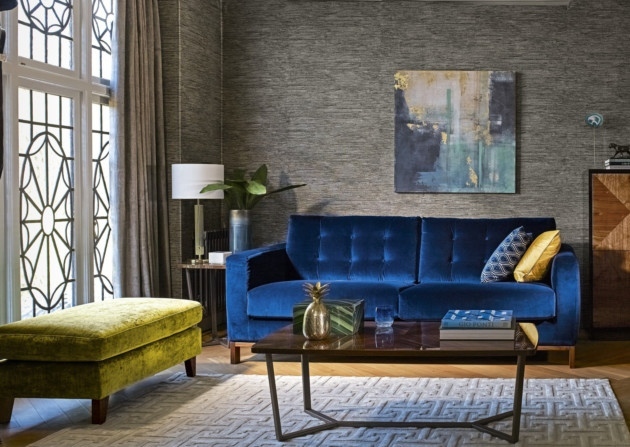 The sumptuous Balmoral sofa from Heal's will be a pop of sunshine during even the darkest winter months. A more formal style, with it's tall sides and deep-buttoning, it'll keep it's shape and still look good, even after a marathon of lounging. Loaf have a great sofa if you don't want to be too slouched while sitting; the Freddie Sofa. It has a slightly more upright back than most, but is still soft and sinkable. Perfect! The look and style is definitely more relaxed and informal. It has a beach house vibe to it and will remind you of many a happy holiday. It too can be customised with a whole host of fabric options. They're all so beautiful, I'd love to have them all! What do you think? Which one would you choose?